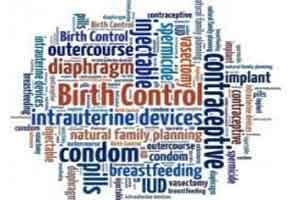 New Delhi: The government today said it was expanding the basket of choice for contraceptives to meet the unmet demand even as it asserted that the Total Fertility Rate (TFR) in most states have come down. “The government is now expanding the basket of choice for contraceptives to cater to the unmet need for contraception prevailing in the country,” Health Minister J P Nadda said in Rajya Sabha when asked about the steps being taken to ensure balanced population growth in the country. He said during Question Hour that India was a signatory to the ICPD Declaration of 1994 which advocates target free approach and honouring of reproductive rights of couples to decide freely and responsibly the number and spacing of their children. Nadda also said the TFR Rate in 24 states has reached around the 2.1 level where the population stabilises, but in states like UP and Bihar it was still over 3. He said the decadal growth rate of population has declined significantly from 21.54 per cent between 1991-2001 to 17.64 per cent during 2001-11. Nadda said the TFR in the country has gone down and while 24 states have reached replacement level fertility of 2.1 or less, there are ten states including Gujarat which is between 2.2 and 3 level. Asked by Congress leader Jairam Ramesh till when does he think the overall TFR of the country would reach 2.1, Nadda said while he would not prefer to give a timeline, he thought it would happen in two to three years. Nadda also said that 184 districts have been identified where the indications have not been encouraging. In the states of UP and Bihar, it is above 3, Nadda said, adding that overall, the TFR in the country has declined from 2.6 in 2008 to 2.3 in 2013. When pointed out by a member that social sector spending had been reduced by the government, Nadda said that funds are not a problem and last year expenditure in some of these sectors was the highest.